Although most enthusiasts install home automation in existing homes, many new construction homes are being wired for home automation. A little pre-planning during new home construction can save you a lot of extra work down the road. Ask your electrical contractor to run neutral wires to all junction boxes. Although most electricians do this as a matter of professional practice, making your preference known ensures you will always have a neutral wire available. Neutral wires are required for most powerline home automation devices. 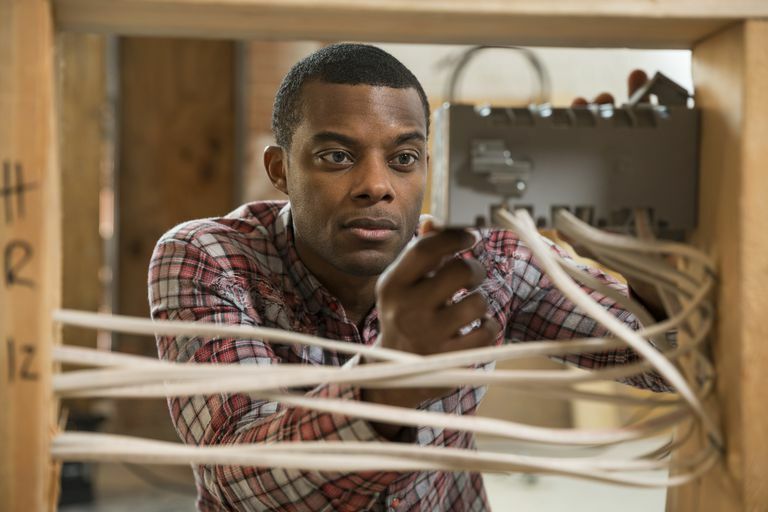 If you plan to install enhanced wall switches, dimmers, or keypads in the future, you want the neutral wires available, as these require a three-wire connection. Request deep junction boxes. Deeper junction boxes give you more room to work, accommodate deeper in-wall devices, and in general make your life a lot easier. Have your electrical contractor install and wire extra junctions boxes. If you don’t have a use for them at first, simply cover them with a faceplate. It is a lot easier to install extra junction boxes during the construction phase than it is to come back later and do it. Install cable conduits everywhere you might anticipate a need for wires of any kind. Cable conduits are separate from electrical conduits and are used to run speaker wire, video cable, and network cable. Install conduits in walls even if you don’t anticipate using them right away. Again, it’s a lot easier to install a piece of the conduit during construction than it is to fish speaker wire through a wall after the house is built. Build a small, centrally located closet for storing patch panels, distribution panels, and media servers. Ensure your wiring closet is big enough to accommodate a rack with extra room for moving around, and install ample cable conduits in this room because much of your wiring will terminate here. Even if you aren’t installing a whole house audio system initially, you should plan for it in the future and wire every room for in-ceiling or in-wall speakers. At some point in the future, you may want to add whole-house audio to your home. You may be tempted to go all wireless in your new home. Wireless certainly has its place, but it just isn't as fast as wired connections. If you anticipate using high-traffic applications such as video or streaming 4K or Ultra HD, you are better off with wired connections. Wiring the new house with Category 5e or CAT 6 future-proofs the house for years to come.